But THIS is something all new. A WILD loris! It lives! A nocturnal, forest-dwelling primate with orb-like eyes and short limbs has been photographed in central Sri Lanka after being feared extinct. 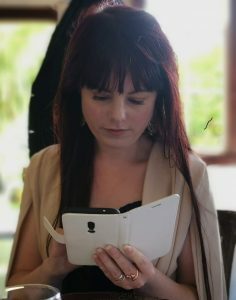 (from stuff.co.nz). A Horton Plains slender loris was caught on camera after lengthy surveys of the forest by researchers from the Zoological Society of London, the University of Colombo and the Open University of Sri Lanka. Team leader Saman Gamage said the mammal was not sighted for more than 60 years until in 2002 a researcher reported spotting its eyes during a search – inspiring the effort to view it fully and photograph it to prove the primate existed. “We are thrilled to have captured the first ever photographs and prove its continued existence,” said Craig Turner, a conservation biologist with the Zoological Society. The primate’s population is thought to have begun dwindling in the mountain forest habitat after British colonial rulers from the 19th Century cleared large tracts of forest for coffee and tea plantations, Gamage said. Turner, a conservation biologist at the Zoological Society of London, said only one or two sightings occurred between 1937 and 2002. Despite repeated attempts to find it, there were no sightings between 2002 and 2009. “People, including ourselves, had begun to think: ‘Yeah, maybe it has disappeared’,” he said. Given its size and nocturnal habits, the 20cm beast was tough to find. But the giveaway was in its eerily large, night-vision eyes. 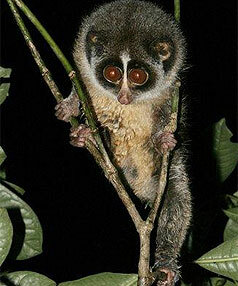 Scientists combed the forest canopy with red-filtered flashlights – eventually catching sight of the loris. Turner said scientists were then able to briefly capture the primate, taking measurements and genetic material before releasing it back into the wild. He said the critter’s orb-like peepers and gangly limbs made it an easy sell to the general population. “It’s a very appealing species,” he said. 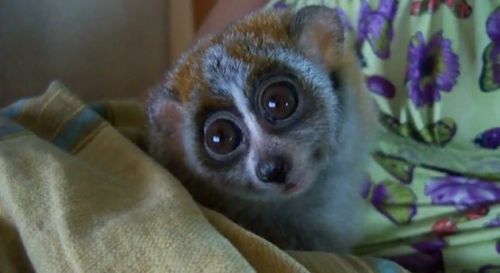 Gamage said more of the lorises are thought to live in small patches of forest in Sri Lanka’s hill country.